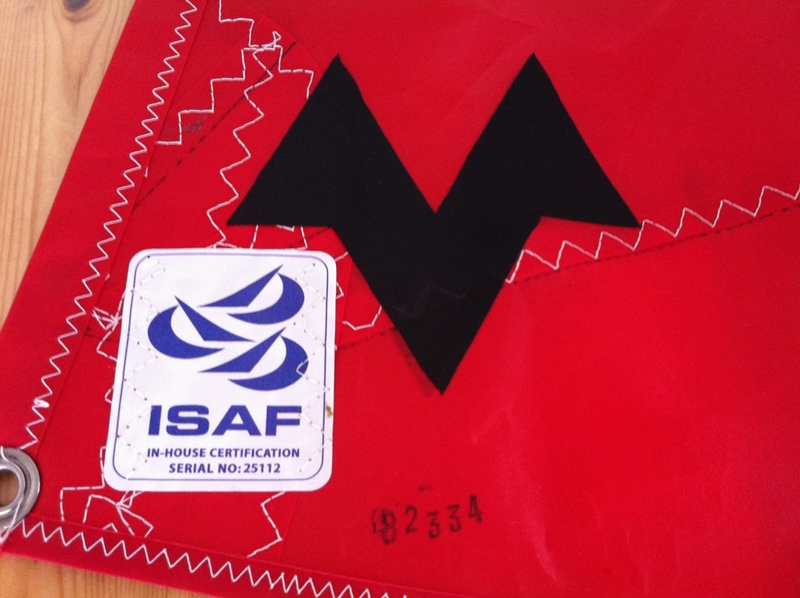 An ISAF In-House Certification sticker sewn on at the tack by the Sailmaker who made the sail (as shown above). Not all sailmakers are in this scheme. To join they have to demonstrate they have a Quality System, batch & individual sail tracking and traceability systems to ensure consistent results & that all sails in a batch, or made to a particular design, can be traced and recalled if necessary. At the time of writing (2015) UK Sailmakers P&B, North, Goacher & Batt Sails are part of the scheme. The signature of an Official Measurer & date the sail was subject to Certification Measurement at the tack. 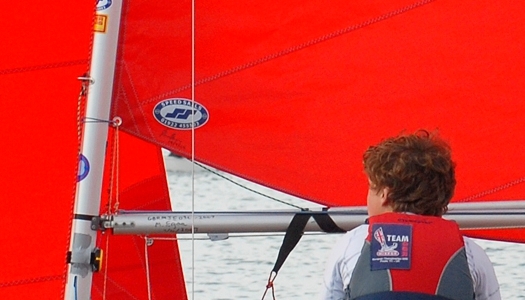 If your sails don't have an Certification Mark, you need to have them measured by an Official Measurer. 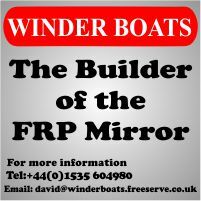 There is a list of Mirror Class measurers in the list of International Class Measurers on the RYA website (the Mirror is an International rather than an National class), there is also a list of RYA Sail Measurers on the RYA website. Either can measure your Mirror sails. You need to contact a measurer and arrange for them to carry out measurement. Expect the measurer to charge per hour for their services plus reasonable travel expenses, so discuss this with the measurer. It's also a good idea discuss the facilities available, for example you will need a flat, clean, well lit, indoor floor space large enough for the longest measurement (i.e. 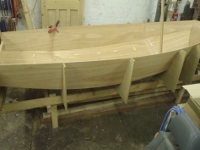 mainsail leech) to be taken, ideally large enough for a mainsail to be laid out with space to move around it.